Order your 75th Anniversary Anisfeld-Wolf Book Awards Tickets today! I arrived home today to find my invitation or announcement for the 75th Anisfeld-Wolf Book Awards in the mail! Yippee!!! I immediately ordered my tickets! Tuesday, September 14th at Severance Hall, 11001 Euclid Ave. in Cleveland. received national notoriety last year with the penning of Praise Song for the Day the poem read during the Inaugural ceremonies for President Barack Obama. Alexander will receive the Lifetime Achievement in Poetry. hor of In the City by the Sea, Kartography, Salt and Saffron and Broken Verses. Previous winners of the prize which “remains the only juried American literary competition devoted to recognizing books that have made an important contribution to society’s understanding of racism and the diversity of human cultures” include Toni Morrison, Edwidge Danticat, Junot Diaz, Gwendolyn Brooks and Ayaan Hirsi Ali. The Prize was established in 1963 by Elizabeth Anisfeld Wolf. For more information on the Awards visit here. Author shelleyshockleyPosted on July 26, 2010 July 4, 2012 Categories UncategorizedLeave a comment on Order your 75th Anniversary Anisfeld-Wolf Book Awards Tickets today! 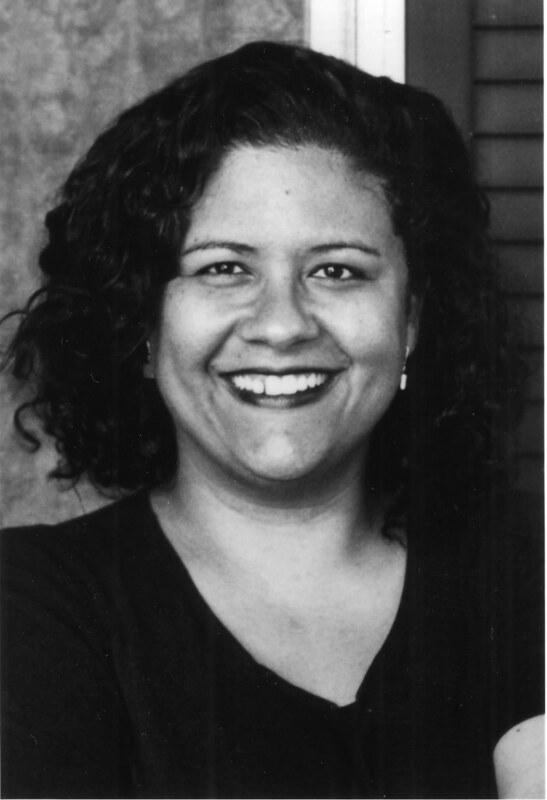 Review: "Sugar – A Novel"
In October of last year author Bernice L. McFadden set in motion a plan to commemorate the 10th Anniversary of the publication of her debut novel Sugar. The publication anniversary was January 9, 2010. I’m not sure if she reached her mark, but I do know that she sparked a renewed interest in her work. As I write this review almost a year later, I am apologetic because I’m not sure when I first noticed the posting and I unfortunately did not read it well because I thought it was a year long campaign. That being said, if you have not read Sugar, please do so. Why you ask? Well continue to read and I’ll give you what I believe are a few good reasons. Set in rural Arkansas in the 1950s, Sugar is a story of friendship, acceptance and the love that must exist for the aforementioned to thrive. When Sugar Lacey arrives in the sleepy town of Bigelow, Arkansas heads turn and tongues begin to wag. You see Sugar is not like the women of this small town. She is worldly, wears vibrant colors from head to toe and the “good” women who reside in this town see her as nothing but trouble. Based purely on what they see, the women have labeled her and while the label may not be far from the truth a “welcoming committee” is not on the horizon. The lone dissenter in town is Pearl Taylor, Sugar’s neighbor on Grove Street. While Pearl is curious about the comings and goings of her new neighbor in #10, she has not turned a cold shoulder. Pearl feels a connection to this woman, but can’t quite put her finger on why. McFadden does a wonderful job of delving into the various characters and weaving a tale that is so real that you can imagine your grandmother telling this story. By shifting between characters and telling the story from their point of view, McFadden invites the reader into Bigelow and the friendship that develops between Sugar and Pearl. So if you’re not familiar with Bernice McFadden, make today the day that you change that and go pick up a copy of Sugar. While you’re at it, pick up This Bitter Earth, a sequel to Sugar and Glorious, McFadden’s latest novel released this year. The not so flattering photo above is of me holding a copy of Sugar, which was one of the requests of McFadden to help spread the word about the 10th Anniversary. As stated above I blew the whole concept, but I hope that you will stop here to learn more about this very inspirational and down to earth author. 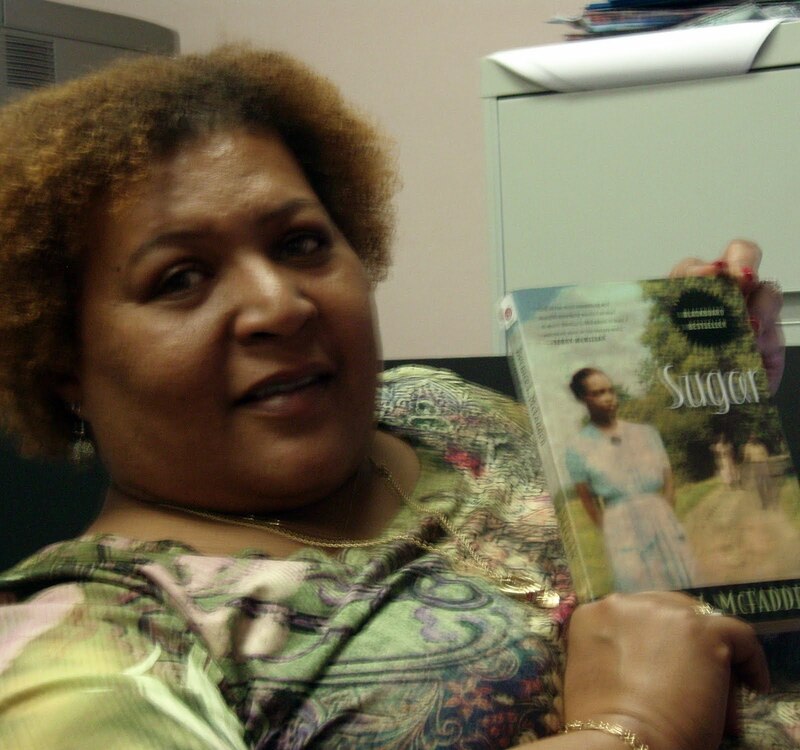 Author shelleyshockleyPosted on July 19, 2010 July 4, 2012 Categories Bernice L. McFadden, Book Review, SugarLeave a comment on Review: "Sugar – A Novel"
I’ve been busy this summer trying to catch up on reading that was pushed to the backburner this winter and spring. This should keep me busy and actively posting over the next few weeks. I hope you’ll drop in and check out the reviews and offer your feedback. So it’s been a week almost to the minute since LeBron James took the hearts of Cleveland Cavs fans and dumped them a steamy and hot Lake Erie. There their hearts were left to steam, bake and boil – sending our feelings about “The King” into the likes of a Massachusetts clam bake! You see for months there has been speculation and innuendo, however those of us who chose to believe the words that were uttered from “The King” were confident that he would stay at home and really become the ROYALTY he proclaimed himself to be. Why you ask did we feel this way? Well he was passionate about his love for his hometown of Akron, Ohio in particular and Northeast Ohio. He was quoted as saying he recalled “the fumble, the drive, and the shot” so he understood the angst of Cleveland fans and he wanted to bring joy to the area. HE WAS ONE OF US! But in one fell swoop he shattered that dream and became in the minds of many, just another shallow albeit well paid athlete. The problem is the money he left on all of the tables, so it wasn’t about the money it was about the ring. I have problems believing that, because although I won’t go as far as Dan Gilbert and say that he quit during the Boston series – something went terribly wrong! As the self proclaimed leader of that team I will say that his drive and desire for a ring was not present! So we the fans were let down by that performance or lack thereof. The Cavs organization however does not get a pass. Something went terribly wrong within that group of men, and it really started when this team sport was relegated to the backseat. It has been clear for the last seven years that many of the problems with the team stemmed from the lack of team coaching. What do I mean by this? Well it appears as though the plays and the focus of these Cavalier teams have been to elevate James, not the entire squad. The team members surrounding James were far from scrubs, but how focused and determined are they when their worth and ability is relegated to the background! The strength of a true team is shown when the least of them can grow, and become an asset. That has not been the case in the recent past for the Cavaliers, but we hope it will be the mandate for the Cavs of the future. “The King” has left the building and the Cavs will be a much better franchise because of it – Let’s go CAVS!! !